Andrew was a Spinning® enthusiast for over 10 years before taking the plunge into Studio Cycle instruction with CAC. Excited and particular about the music, he'll spend days ahead preparing fresh, eclectic setlists to keep his classes motivated. Inspired by the eager, dedicated members who attend his early morning classes, Andrew has also expanded into other group fitness disciplines such as BURN. 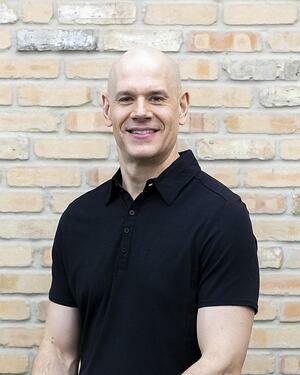 His certifications include Spinning®, NASM-PT and NASM-CES. When he isn't coaching Studio Cycle, he enjoys graphic design, running half-marathons, trail riding, weight training, and hiking.